Home Healthy Pregnancy3rd Trimester (weeks 28-40)	Should You Try Labor Before a Planned Repeat Cesarean? A trial of labor after a previous cesarean can, in the right circumstances, bring the benefits of waiting for labor and vaginal birth for both you and baby. You had a cesarean birth with your first pregnancy, and now, after consulting with your healthcare provider, you’ve agreed that a repeat cesarean may only be needed if you have similar problems that caused your first pregnancy to end via surgery. You’ve heard about the benefits of waiting for labor to start on its own, and trying to birth vaginally after a previous cesarean. You’d like to have that for both you and your baby, as possible. You’ve also heard that newborns born less than 40 weeks gestation can have problems stabilizing their breathing, body temperature, and blood sugars, as well as risk jaundice. You’d like for your baby to go full term and to be as ready as possible to begin breastfeeding after birth, and to avoid the risks of birthing early. You’ve learned that spontaneous labor means baby triggers labor and picks the day and time that’s best for him or her to be born. Experts call birthing vaginally after having had a previous cesarean birth a “vaginal birth after cesarean,” or a VBAC. It all begins with a “trial of labor after cesarean,” (TOLAC) which means if your healthcare provider agrees, you can try to birth vaginally following a previous cesarean. TOLAC’s are helpful, particularly if you want to have more children and want to avoid the risks of multiple cesarean births. These risks can include hysterectomy, bladder or bowl injuries, and problems with your placenta in future pregnancies. The good news is that waiting for your body to go into spontaneous labor can help prevent potential problems. Waiting for spontaneous labor, or at least a full 40 weeks, gives your baby the extra time to benefit from that big immunity boost that happens in the last weeks of pregnancy. Waiting also means you maximize baby’s lung, liver, and brain development, and baby gets to build up those extra fat stores needed for stable temperature and blood sugar after birth. When spontaneous labor begins, stress hormones (known as catecholamines) help rapidly prepare your baby for life outside of the womb. These stress hormones help your newborn’s lungs by absorbing fluid and releasing surfactant that’s needed to expand her lungs to help her successfully take her 1st few breaths. This reduces the need for your healthcare providers to intervene and help baby breathe on her own. Coordinating with your healthcare provider, you can rest assured waiting for labor to start on its own that you and your baby will continue to be monitored regularly for problems, and that she or he will intervene and perform a cesarean, should it become necessary. 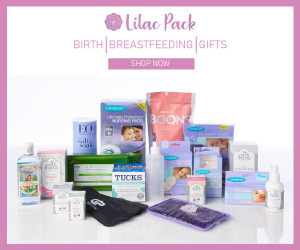 Waiting until labor begins on its own, and birthing normally when possible, means your cervix is most ready for birth, your chances of birthing vaginally are greatest, and if successful, you and your partner will immediately be able to begin bonding and start breastfeeding with your baby as soon as possible after birth.